A few years ago I met Adam Reid, he’s a director, illustrator, storyteller, producer, brand jedi extraordinaire from Maplewood, New Jersey. He co-founded the production company and agency Bodega Studios. From the moment my family met him we thought he was very cool, and not just because he was shooting a Mazda commercial in our house with Minnie Driver. (She is also very cool). And now… his coolness meter has reached grand new heights! Because Adam is working on an animated sci-fi sitcom starring two of my most favorite people in the whole world Former President Barack Obama and Former Vice President Joe Biden. Adam, like myself, misses these two and their “bromance” but it goes beyond the wit, humor and classic aviator sunglasses. This is about two bold, charming men who are going to be given the chance to go back in time (with their current knowledge) and save the world! Their only guide on this journey is Neil deGrasse Tyson! 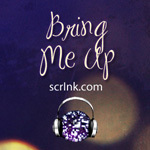 *squeal* I am so excited! Adam writes, “If you’re like me, you’re more than a bit concerned lately about the fate of our country, our planet, and humanity itself. And while we need new heroes to step in and stand up for what is right, I can’t help but intensely miss Barack Obama and Joe Biden. Currently, this whole concept is in a Kickstarter phase. Your help is needed! The perks for backing this series are pretty stellar if I do say so myself. 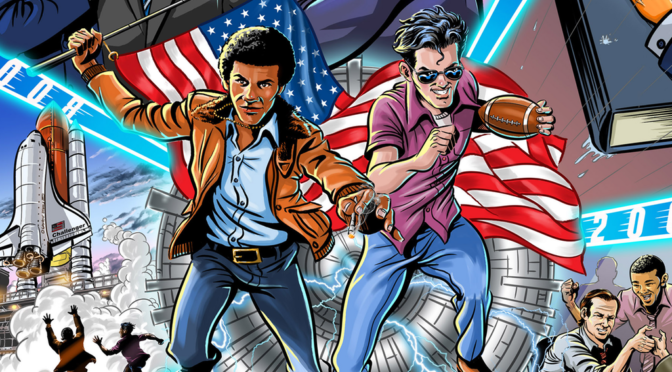 Pledge $75 and get a “Barry and Joe” coloring book! Pledge $100 for the “Hoodie of Resistance.” And for those of you with let’s say $10,000 extra laying around to invest in something super awesome, you will have an opportunity to get producer credit, A SPEAKING ROLE IN THE SERIES, a hoodie AND a poster! WHAT!? 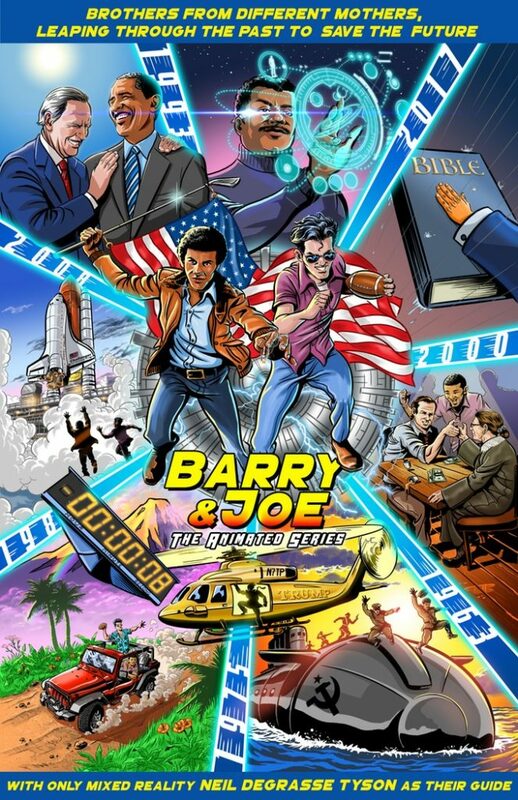 But even a pledge of $5 can get you a digital pack of Barry & Joe themed artwork which is amazing! Please, please share this with your friends and family and people you meet in elevators that go up 15 floors and you’re not sure what to say. Print out the image, tell them about the Kickstarter and get them on board! The band, Grizfolk, is based out of Los Angeles. Another song I love by them is called Vagabonds. It’s amazing. 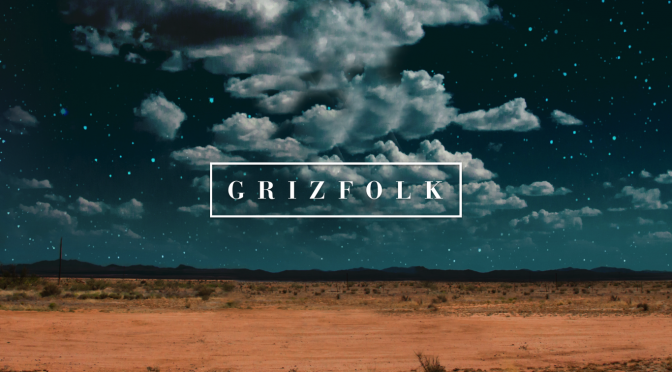 Another reason to LOVE Grizfolk is because they joined forced with Global Citizen. They offered a “reward” through Global Citizen for tickets to their Troublemaker Tour. Global Citizen is a group which teams up to raise awareness about global poverty. Global Citizens can earn points and therefore rewards by taking action against injustices in the world. It’s pretty cool. In more recent news, Grizfolk did a remix of of duo TeamMate’s track “Nothing’s Ever Over” which got some pretty rave reviews. So, hoping to hear more from the band in the future. Meanwhile enjoying the tracks they released late in 2015 and the remixes they released this past Spring. All musical goodness. All of it. How deeply do culture and community impact schools? Over the past two weeks I have had the pleasure of hearing from two well-known people from Hollywood that don’t really have an education background and yet their statements regarding education have given me much to think about. My background has been split between studying early education and human services. In addition to studying I have also enjoyed volunteering my time with the Christina School District as needed. Then there is the fact that I am a parent of three children which I feel makes me a person who should be able to talk about education from that perspective as well, because I feel that I am an engaged parent who cares about how my kids are doing in school. Truly, I want all kids to do well, excel and thrive in school so they can then go into life as young adults with their best foot forward. Now let me circle back to the speakers I have had the pleasure of hearing from recently. On September 15 I listened to Sonia Manzano discuss a variety of things, as her talk was regarding her book “Becoming Maria: Love and Chaos in the South Bronx.” The book takes place from her childhood up until the first audition she had on Sesame Street. 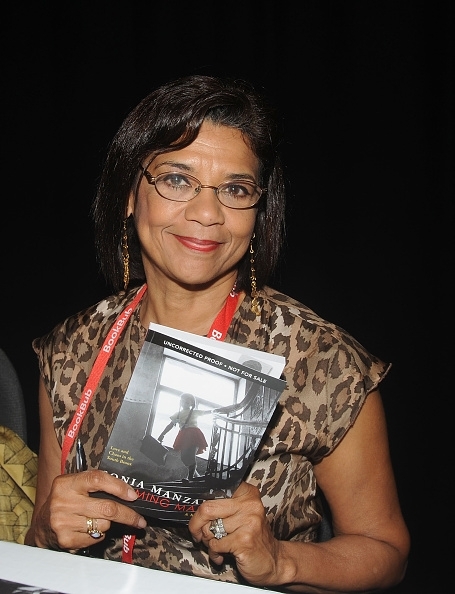 In the book she speaks about what it was like growing up as a young Latina woman who felt the world didn’t realize she existed based on the fact that the majority of things portrayed in the media was about white people and white families. She talked about how she grew up in a home of abuse and alcoholism and her parents spent a lot of time complaining and fighting. Her escape was in shows like “Leave It To Beaver” where families showed love and support for each other. However, she realized while watching that there weren’t any people like her in the show. 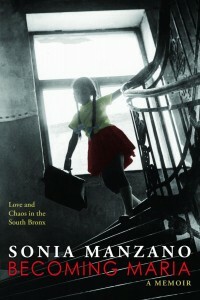 As an elementary student in the South Bronx, Sonia did well. She was at the top of her class. Her teachers always called on her and anything she said was lauded, even if she was painting her nails at the same time at her desk. The teachers weren’t expecting anything of her or the other kids in the school. They weren’t really learning much, they were just spending time off the streets. Then her 4th grade teacher “broke free from the curriculum” for a class and took them all to see West Wide Story. This was a pivotal moment in her childhood because there she saw the people of her culture singing and dancing and it was magical for her and she wanted to be part of that. Sonia Manzano eventually went on to play Maria on Sesame Street. A show geared towards urban, inner-city kids, to give them a safe place where they could flourish and learn. Sonia said she eventually also became a writer for the show and many of the stories she wrote for characters paralleled her own life. She was able to write about things that might be a little sad, but then turn them into something where the characters rose above a challenge and became better for it. She spoke about the issue of teachers not being afforded the time to break away from curriculum now. I know in Delaware especially the curriculum is incredibly timed and rigid. Between teachers being so stressed and overwhelmed, there is a high demand of finishing lessons on time, even if students aren’t grasping the content. This is actually the topic of a position paper I am writing for one of my classes right now. I’ll share that final paper when I’m done. I believe it is important to evaluate students, but not to the extent that the system is failing them because of how rigid it is. In my opinion, children should be treated more as individuals, portfolio based rather than a list of numbers and percentages. 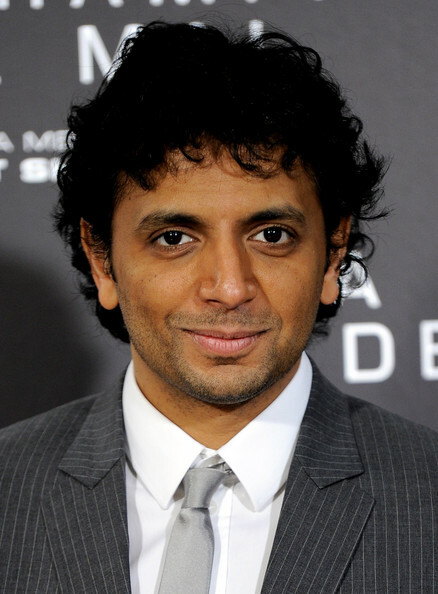 Now let me move into talking about the speaker I heard from last night, M. Night Shyamalan. 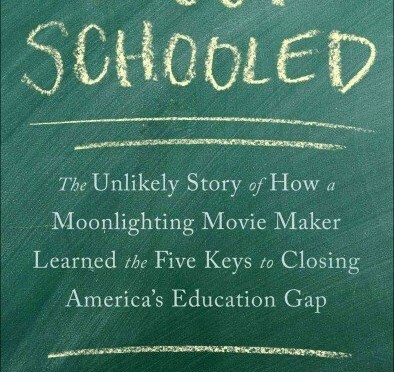 He was in Delaware talking about his book, “I Got Schooled: The Unlikely Story of How a Moonlighting Movie Maker Learned the Five Keys to Closing America’s Education Gap.” The event was hosted by DelaCORE Leaders, Senator Bryan Townsend and Teacher of the Year Megan Szabo. 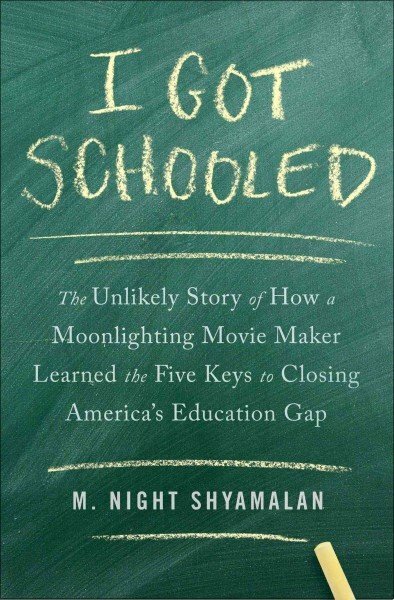 I think it’s important to stress that M. Night Shyamalan made it very clear that all five of the keys have to be used together in order to see the achievement gap close. It can’t be one or some, it has to be all of them. He also made it very clear that he was only talking about the 17% of schools in the US who are currently failing. These keys might benefit other schools, but he was only talking about inner-city schools, not other areas. This was the beginning of an hour long talk in which M. Night Shyamalan talks about the five years of research he put into finding 5 keys which, when used together, could save the inner city schools across the US and close the achievement gap. Between equating many things to basketball, a sport he says he loves to play, he at one point tells the story of being in Philadelphia, scouting for a location for a movie, going into a school where the students were miserable and the atmosphere was prison-like, and feeling like he had been elbowed. He said he is a good basketball player, but when you elbow him, he is a GREAT basketball player. He said in that moment in that school, he felt elbowed and he knew he had to devote his time into figuring out why a school four miles away from the city, full of white students, could be so much better than a school in the city full of black students. The issue of race did come up and I am glad it did, because as so many people want to say it’s an excuse and it’s a cop out, I disagree. I see that black students living in the city do have many more obstacles than my kids going to suburban schools as young white boys. I am aware of this and it breaks my heart. My kids come from an environment in which they are told they are doing great, they need to apply themselves and they’ll be doctors or archaeologists some day. They are told this in my home, in their school and in the media. So I think about what young black students are seeing and hearing and it’s not the same. Whether I want to believe it is or not, it’s simply not. And this reminded me of what Sonia Monzano said about being Latina. So then when M. Night Shyamalan spoke about one important key for closing the achievement gap in these schools, he said “the culture.” Much of what is keeping these students held back is happening OUTSIDE of the school in their neighborhoods, communities and in the news around them. So when they go into school they shouldn’t be yelled at by the guards to empty their pockets and then ushers into classrooms with dim lighting and bars on the doors. And that made sense, no, it MAKES sense. It’s true. Culture is a huge thing. He explained the culture of a school should be consistent from teacher to teacher, classroom to classroom and from one grade to another. You should walk into the school and immediately see well lit halls with brightly colored college banners. Another key to closing the achievement gap is more time in school, whether through longer school days or longer school years. Because again, in these 17% of schools the thing holding them back is OUTSIDE the schools. They need to be able to be in school longer, pending the school environment is desirable. This makes sense to me. This is why organizations like the Boys and Girls Club can become such amazing places for inner-city students to go, because it’s a safe place outside of school. No students want to hear they will be in school longer, but he explained the need and how important it really is by describing the summer slide. What is the summer slide? Well, it’s when students are not involved in any sort of educational activity during the summer months. Kids in the inner-city actually fall back three months during the summer. So if two students leaving 2nd grade are on the same level. But one of them is in the inner city and the other is not, it is likely that the student in the city will fall three months behind whereas the other student in the suburban area will likely gain a month. Even for me, I’m terrible at math, I can see how after a few years you now have two students who are no longer on the same level. There were teachers in the room who seemed to really get it and accept what he was saying, but there were others who did not. This didn’t surprise me. Why? Because one of the things M. Night Shyamalan said was that throwing more money at teachers is not the answer. He said teachers are the most selfless workers out in the world. I wish he were correct and in many, many, many ways he is, but I have met teachers who would not be better educators with more money and they aren’t good now. Maybe it’s the school they are in, maybe it’s the stress they are under, but I feel like if you choose to be a teacher and you realize that you are harming the children in your class because you are putting everything else above their success, well then it’s time to leave and let a new teacher take over. Don’t get into teaching if you’re looking to become a millionaire. Get into teaching if you’re looking to make a difference in the life of children. Period. Please do not misunderstand this to think that I mean teachers don’t deserve to get paid more. That couldn’t be farther from the truth. I DO think teachers should be paid more for all they do and the importance of their job. However, I also believe that paying teachers more is not he fix for closing the achievement gap. So when M. Night Shyamalan boldly told teachers in the room that increases in salary were not one of the five keys in closing the achievement gap I think some of them rolled their eyes and tuned him out from that point forward. Skeptical of everything he said because he’s a very well paid screenwriter and what would he know. Well, turns out, he knows a lot, he knows a lot about inner-city schools and it’s because he listened and he researched and he spent years studying this topic for the sheer fact that he WANTS to see all schools, all students, succeed. 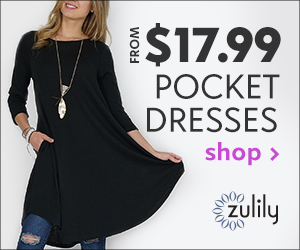 So what are the 5 magic keys for closing the gap with the 17%? Identifying and retaining the Best Teachers, including a fresh approach to the tenure system. (Some teachers are NOT helping students, some teachers should simply not be teaching in the 17% of schools, he said they might do very well in another school, but not in those schools). In short, haha, I know this hasn’t been short by any means. 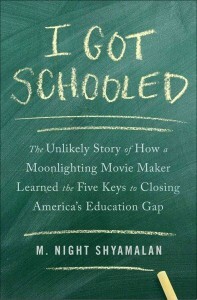 I see parallels in what Sonia Monzano and M. Night Shyamalan said about education in the US. I see that race and culture are huge issues, bigger than what most people are comfortable talking about these days. I see the need for somehow having a way to oust the teachers who are letting down our kids. Sorry for any teachers reading this, maybe I’m not even talking about you specifically, but I have seen great teachers and terrible teachers. I know who I want to teach my kids. I’m sure I could continue writing for hours about other things I took away from these talks, but perhaps that can wait for another day. If you read this far, pat yourself on the back, and please know I thank you.